It wears the British plates 'PI OOV' and is known internally at McLaren as PP3, the third of the pre-production P1s. Here's why it beats all other hypercars out there. 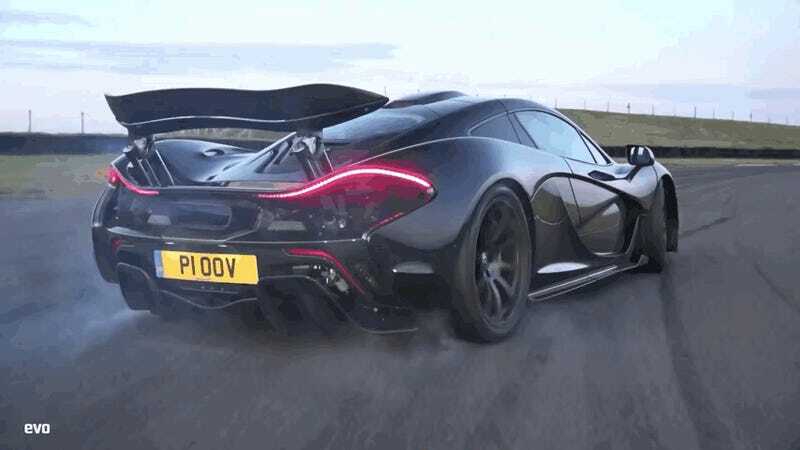 There are two McLaren P1s you saw on the internet many times turning P Zeros into smoke. The first is a black car that had New York plates when it was hot weather testing in Arizona, California and Nevada, and Dubai plates when Chris Harris had his fun with it. It was also missing a few bits in the cabin because that car is XP7, one of the final prototypes. PP3 on the other hand is fully finished, and has a very dark purple paint job McLaren calls Amethyst Black. What makes that car a hero is that it's been driven by the press since the summer of 2013. The list of lucky bastards who pushed its eyes out on a track to get the most of such a rare experience includes Top Gear, Autocar, Evo, McLaren themselves and who knows how many more. It also left Goodwood in March with a cracked windshield. What's certain is that just a fraction of that group could drive a LaFerrari since its premier, prepared by a team of engineers with a truckful of Pirellis only to be used for a few controlled laps. When it comes the the 918 Spyder, Porsche keeps being much more generous with the press, but the number of cars in their fleet is also significantly higher. In fact, one of those cars just beat the PI OOV McLaren around Anglesey wearing stickier Michelins. A well prepared LaFerrari could most likely do the same, but that's completely irrelevant. PI OOV has been performing at 100+ percent for almost a year and a half now driven by all those professional lunatics, yet it still hasn't turned itself into a fireball in protest. It's one hell of a soldier, and it's the P1 I would take home the most.